Cigar ashtray was perfect size, and just elegant enough for a gift. Well made...I’m very pleased as was my friend who received it for his B-day. 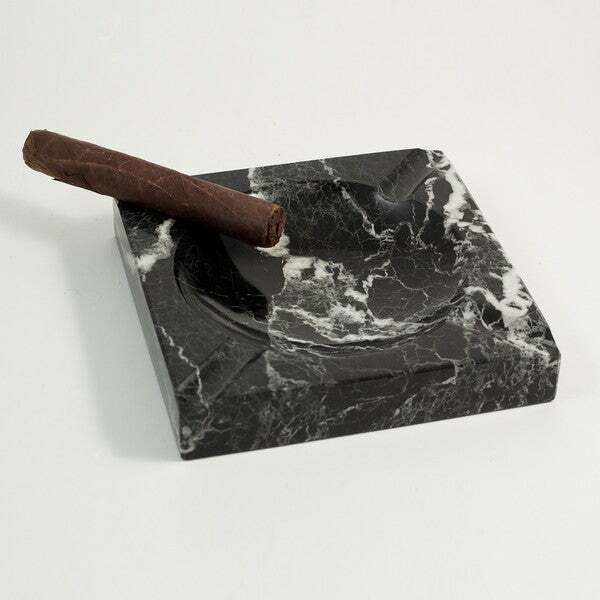 Perch up to four stogies on this classic black marble cigar ashtray when your friends arrive for a smoke. Crafted from natural black marble with beautifully contrasting white veins, this ashtray offers long-lasting beauty and utility.